I've talked about my love for flickr a few times. It is the one place on the internet that I spend way too much time. Look what I found when I typed in pink one day. The most amazing miniature artist. Those aren't real sweets up above. They're made from polymer clay and they are the creations of miniature artist, Kim Saulter. I have spent so much time going through Kim's flickr photo stream. I asked her if I could blog about her and she was sweet enough to say yes. Kim has a blog called It's a Miniature Life where you can see more of her amazing pictures and read about the mini bakery she is working on. Kim either has teeny tiny hands or she is part magician. I am guessing it is a little of both. What could be better on Pink Saturday than tiny pink cupcakes and cakes?! Make sure to go visit Beverly. I hear that there are 182 participants today. I'm all in a dither. I can't figure out what to wear! Vanessa's having a party! A Fanciful Twist Halloween Party. I need a costume. A cute little old witch?! What about a harem girl? A Gold Miner (on the way to work and after a bath) or maybe she's a rock climber. Hmmmm. I think I'll go as myself. It's Pink Saturday again. I keep telling Beverly that one of these days I will run out of pink to post about. 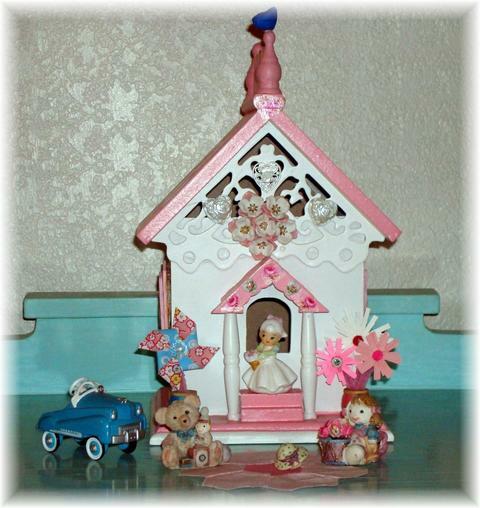 Luckily I have estate sales to go to and I am not the only one who likes pink. I can always find at least one pink thing at most estate sales. Last weekends estate sale was in a little old house. Inside was a plethora of treasures and it was all half price. I found the pretty plate in the top right corner to add to my rose plate collection. I picked out three more from my collection to show you today. I didn't forget about the drawing for my pincushion. My daughter came over today. I asked her to pick a number between 1 and 29. Jenny at The Red Bulletin Board had the winning number. I was thrilled because Jenny's blog is a favorite of mine. So, Jenny-send me your snail mail and I'll send you my fat free cupcake!! Speaking of favorite blogs...Paintin-Patti is one that I have to check every pink Saturday! I love her style. I love the colors she creates with and she is just so darn sweet! Why don't you visit her today and tell her I sent you?! You love the roses - so do I. From off the shaken bush. And soft to tread on. And yet waking, all at once. What could be better than roses on a Pink Saturday. I used copyright free images, from an art deco cd to make this collage. 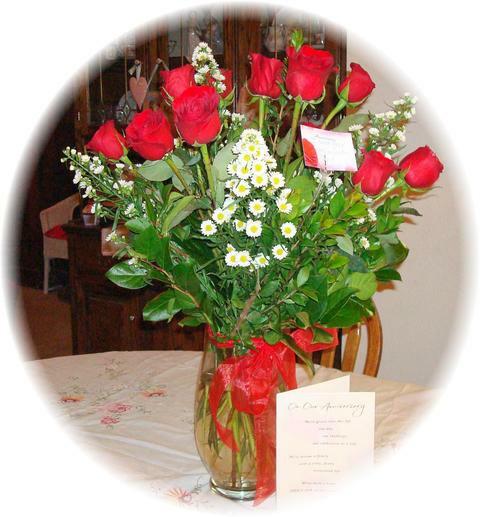 Our sweet hostess, Beverly, asked us to showcase a new to us blog. 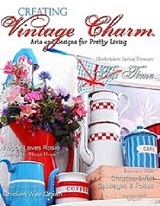 Tina at Enchanted Rose Studio has a beautiful blog. Last week's post was about a pretty rose in her garden. Her blog is full of eye candy. I think you should go have a visit too! Do you remember the first time you saw the Wizard of Oz? I do. I remember it in vivid technicolor. My parents were the first on the block to buy a color television. My brothers and I and all the neighborhood girls gathered on the floor in front of the new television to watch the Wizard of Oz. (that's me on the far left) I remember being almost overwhelmed by the colors. The yellow brick road, the red poppy field, the Munchkins in all of their gloriously colorful costumes. Who could forget the Wicked Witch of the West? She featured in my childhood dreams quite a few times. When, I look back, I don't remember a single memory that stands out in such vivid color. Are you an Oz collector? I have to admit that I didn't have a single Oz collectible until last weekend. I found Dorothy while out antiquing with my best friend on Sunday. Then two store later and with a little money left in my pocket, I found the lion. I think they are McDonald's collectibles but I'm not sure. Now I need the tin man and the scarecrow. If you're a fan of the Wizard of Oz, go stop by Twyla and Lindsey's Wizard of Oz Gala. Did you think I forgot Pink Saturday? Who better for Pink Saturday than Glinda the Good Pink Witch! 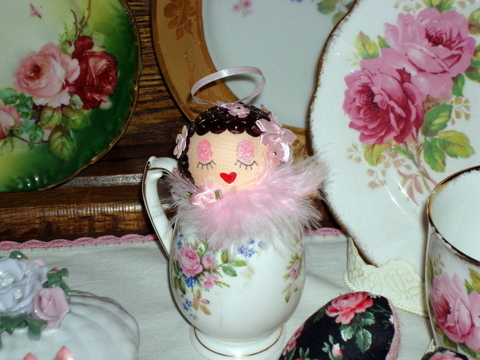 Today for Pink Saturday, I hope Beverly won't mind if I invite you along to my Fanciful Twist Tea Party. My son's fiancee and I have made lots of pink treats and we've been waiting for you to get here. These two have already made off with a few things. Make sure to go visit Vanessa. Last year's tea party was lots of fun. I'm sure you'll be able to find a pink surprise or two. Karla and Beth are having a Bling Your Birdhouse Party. I had so much fun foofing up mine. This bird house was pretty before I started, but I knew it needed a little bling. 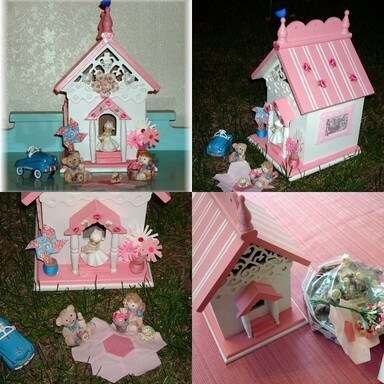 I gathered some trinkets, some bits and bobs from friends and set about blinging my birdhouse. I used some water slide rose decals to decorate the arches and roof. Two little windows with curtains were added to the sides. I took some of Amy's cute quill flowers and planted them in a vintage spool wrapped with thread. Mrs. Kwitty's sweet little pinwheel magnet found a place in a spool on the other side of the door. A cute little bride looked right at home on the step. I made a little bluebird out of Fimo to sing from the gable. Then I blinged it up with a few buttons from friends and an old earring. 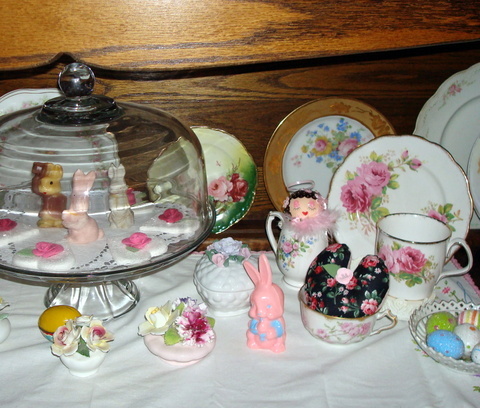 After I was done, I thought a tea party was in order and invited a few little friends. I'm all ready to move in. Go see the rest of the bird houses. There are quite a few I'd like to have in my neighborhood! Today is my Sixth Wedding Anniversary. Six years and six months ago, I was looking for someone to go out to a movie with. One of my best friends told her husband that I wanted to meet someone nice and he told his friend. His friend was looking for someone nice to hang out with. Neither one of us was looking for love. They fixed us up on a blind date. The first date he took me to the Spaghetti Factory and asked me lots of questions including my taste in games. The second date he showed up with a Scrabble game (my favorite) and we went to see Planet of the Apes. After the movie, we came back to play Scrabble. The problem was that my plumbing had stopped up in my bathroom and I was embarrassed to tell him about the toilet. When I finally told him he acted like it was no big deal and insisted that I let him fix it. He went to the store and bought a plunger and unstopped the toilet. I tell people he stole my heart with a plunger. The rest is history. Happy Anniversary Hubby! Speaking of anniversaries. I told you I would draw a name for my Blogaversary giveaway today. I used a random number picker and #11 came up. Karen from BlueMuf's Corner was #11. Karen leaves the sweetest, most supportive comments and I am so happy to be sending a package of goodies to her. I really wish I could afford to send you all a present. You are all so sweet and your messages to me have been so uplifting the past few weeks. My mom is coming home on Tuesday. Today she walked over 100 feet and was feeling so much better. She is getting herself in and out of bed and into and out of the bathroom. I am thinking she won't be using her little bell very much. I really didn't want her to go to the rehab place but it has been the best thing for her. The physical therapists were awesome and she is even stronger than before she fell. One more thing before I sign off. I have to show you what I bought from Sadie Lou Who. She sells the cutest ornaments and I had to have one. I think I need some more though. Oh my gosh! Isn't she adorable! A broom to you I'll send. In storm the other end. From an old autograph book dated May 11, 1925. 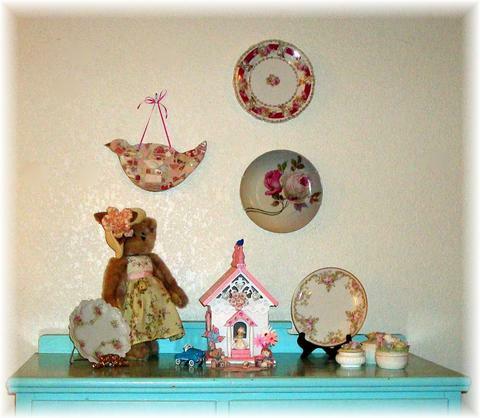 (Louise at Beachy's Cape Cod Cupboard is hosting a craft challenge. 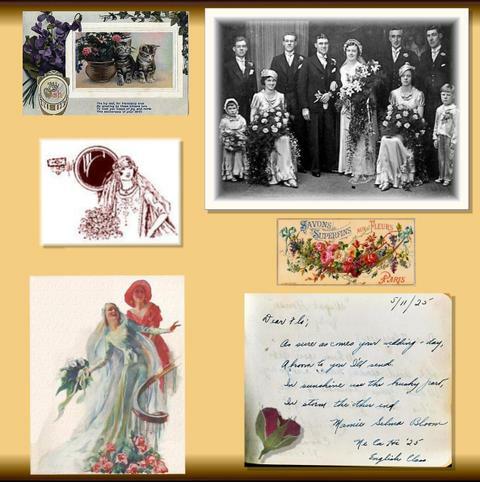 The vintage photograph of a wedding party inspired me to make a scrap book page. The autograph is from a high school autograph album dated 1925. Rachael at The Rose Room has the prettiest pink blog with the most beautiful blog banner. 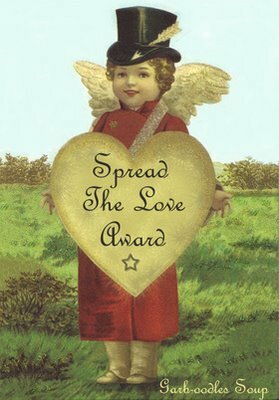 Rachael was sweet enough to pass the Spread the Love award on to me. It is given to those who are devoted readers and also leave supportive comments. Truthfully, it is so hard for me to pass these awards on. I want to give it to every one of you who leave comments on my blog. There are so many of you who faithfully stop by and leave me sweet comments. How can I single out one of you or even ten? So I browsed through my comments, and I picked three who have visited here but emailed me often almost from the day I started my blog: Kim at Ragged Roses, Mrs. Staggs from A Happy Miscellany and Amy from Abundant Curiosities. They are all such sweet ladies. Speaking of love, my hubby took me to see P.S. I Love You. Oh, I loved that movie. The male lead, Gerard Butler, is the ultimate "hunk". I'm moving it to my personal top ten of romantic movies! My favorite romantic movie is An Affair to Remember with Carey Grant and Deborah Kerr. The best movie kiss of all time was in that movie and you never actually see them kiss. You see their legs walking up the stairs. He turns to her and you know they are kissing when Deborah Kerr lifts her leg behind her. I'm not describing it right but if you've seen the movie you'll know what I mean. If you haven't seen it and you are a romantic at heart go rent it. I'm sure you have romantic movies you love. Won't you tell me yours so I can see if it made my top ten list?